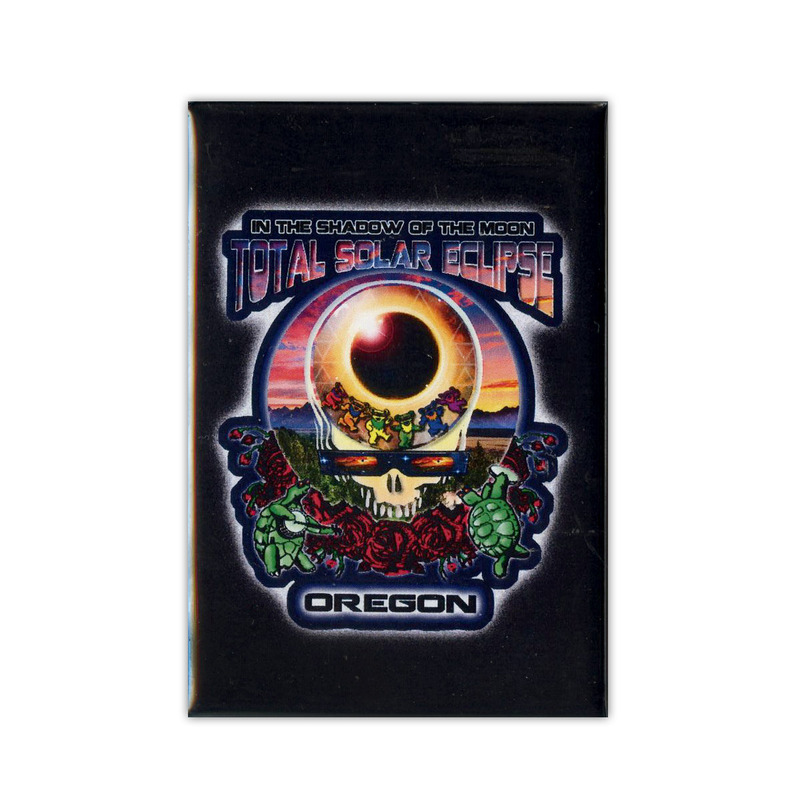 FMEC011 - Oregon Eclipse Your Face Grateful Dead Total Solar Eclipse 2017 Fridge Magnet. 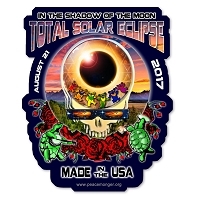 Vibrant and rich in color, this sticker depicts the total eclipse with full corona with spiritual symbols depicting transformation are set inside a stylized Steal Your Face design with a gorgeous mountain sunset in the background. Grateful Dead dancing bears and terrapin turtles dance around the central design with roses at their feet. 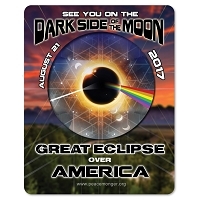 The eclipse reflects in the sunglasses they are wearing. 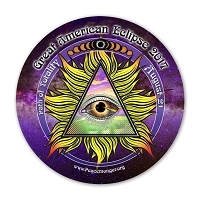 Pronounced lettering reads: "In the Shadow of the Moon - Total Solar Eclipse" with the date August 21, 2017. 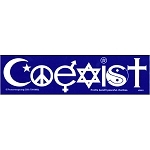 "Oregon" is in eclipsed lettering below the design.